A maxi dress in a hurry!! 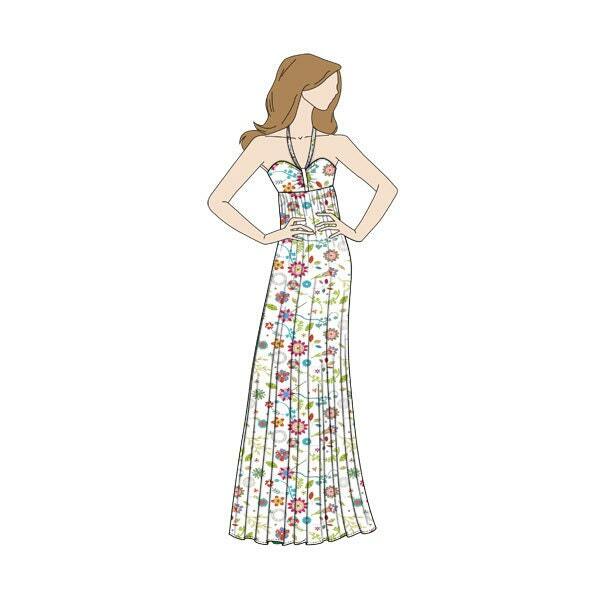 If you're in need of a maxi dress for a summer event and haven't got much time to make one, this really simple design can be sewn together in an afternoon! 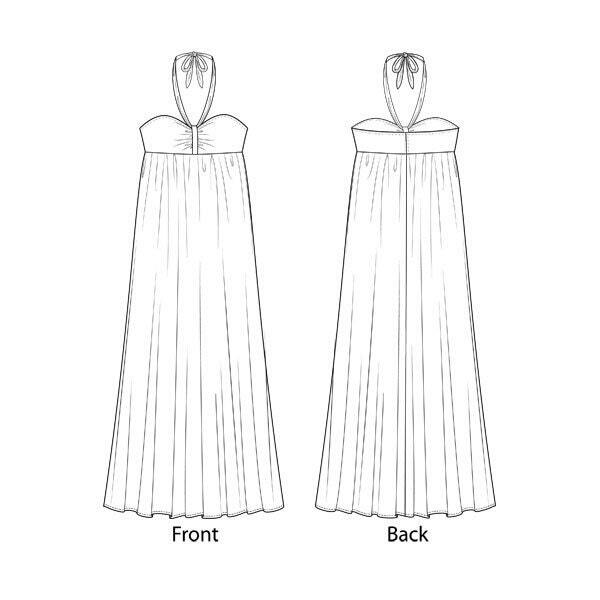 The main part of the bodice is a bandeau style top, which is gathered in at the front with the help of a band, the halter band then fits through the gathering band which is tied round the neck to help keep the dress up. There is a zip fasten in the back, but an alternative would be to add extra width at the back and insert elastic instead. And of course a full length skirt attached to the bodice, but you can always cut it shorter for a fun summery dress!